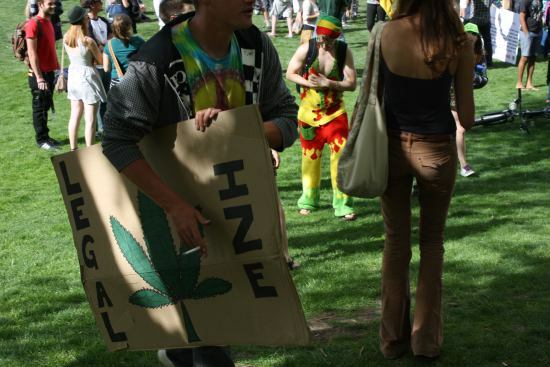 Fish—not the typical smell you associate with the counterculture marijuana holiday known as 4/20—yet, when walking through Norlin Quad today, the usual epicenter of Boulder’s 4/20, that was the predominant scent. 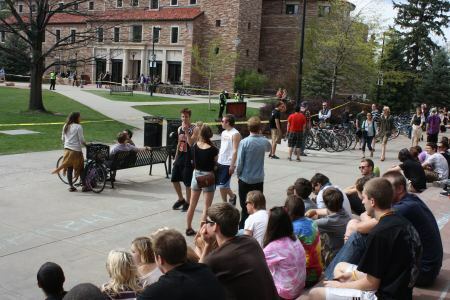 Fish-based fertilizer was one of many tools the University of Colorado’s administration used to deter 4/20 celebrations and illegal marijuana use on campus today. Another way CU attempted to keep students off of Norlin Quad was by sponsoring a free concert at the Coors Event Center. Wyclef Jean, a rapper and ironically a major supporter of legalizing marijuana, was the headliner. Several hundred students attended the concert, and no one was allowed into Coors Event Center after 4:00pm. Meanwhile, several hundred students milled about the perimeter of Norlin quad. Some carried signs, most just looked like they were waiting for something to happen. One student began yelling, “This is for our rights!” and took off running through the police tape and onto the quad. He was pursued by several cops and escorted away with handcuffs while the crowd cheered him on. It’s estimated that police and security measures were doubled this year, as well as the budget. Last year, CU spent $55,000 handling the event and the cleanup. A total of 3 students were arrested today for trespassing on the quad. One $100 fine for smoking pot was given. 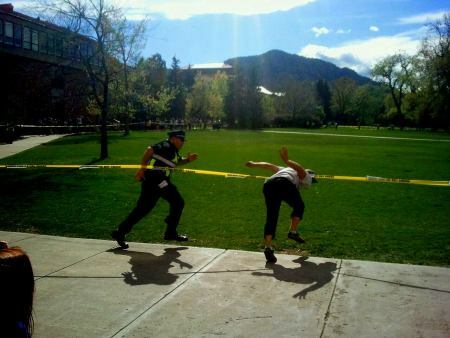 Despite doubts, CU’s new security measures were able take 4/20 off of Norlin Quad this year. This did, however, create as much or more of a disruption and inconvenience for students and faculty. 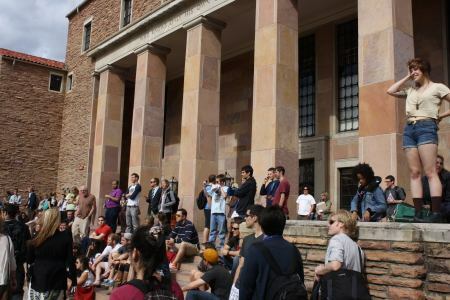 The illegal activities CU administration wanted to deter still took place on campus—just in a different location and on a smaller scale. Can a Housing First Project Be Developed with Minimal Controversy?